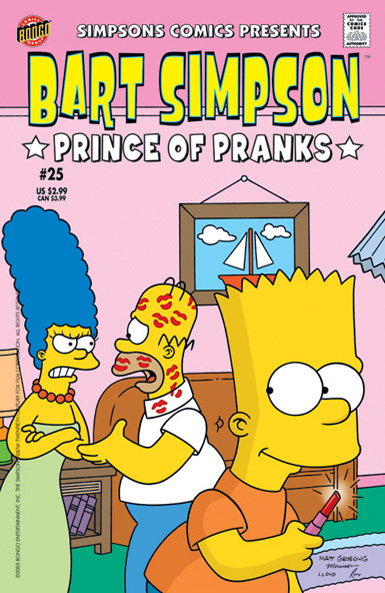 Bart Simpson Comics #25 is the 25th issue of Bart Simpson Comics in the USA. It was released in August 2005. 1.1 The Underachieving Bart Simpson Comics Fan No More! The Underachieving Bart Simpson Comics Fan No More! Main article: Comics Fan No More!